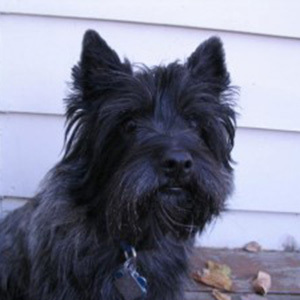 Ballad is a Cairn Terrier, also known as a “Toto” dog (the same breed that starred in the Wizard of Oz!). He has been volunteering in the Polytrauma and Spinal Cord Injury units doing Animal-Assisted Therapy (AAT) at the VA Hospital in Minneapolis since 2012. For a little dog he has a big heart! Patti says Ballad loves his work at the VA and wears his red, white, and blue bandana with pride!